Hi Guys, still not back in my sewing room. We are moving from our house to an apartment to simplify our life and so sewing is taking a back seat for a few more weeks. Once, we get settled into our new place, I can start being selfish again and have some fun sewing. 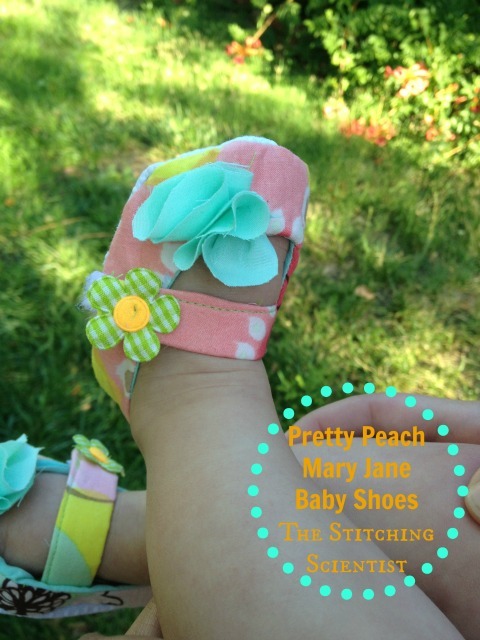 In the meantime, I wanted to share with you all and oldie but goodie for the blog: the baby Mary Jane shoes! Remember these? They have been really well received. There is a also a free pattern and a tutorial showing you how to draft your own pattern for your baby. Hope you guys keep this project in mind for your next shower gift. Thanks again! You can download the pattern here. This pattern is for size 3-6 months and measures 4″ when complete. 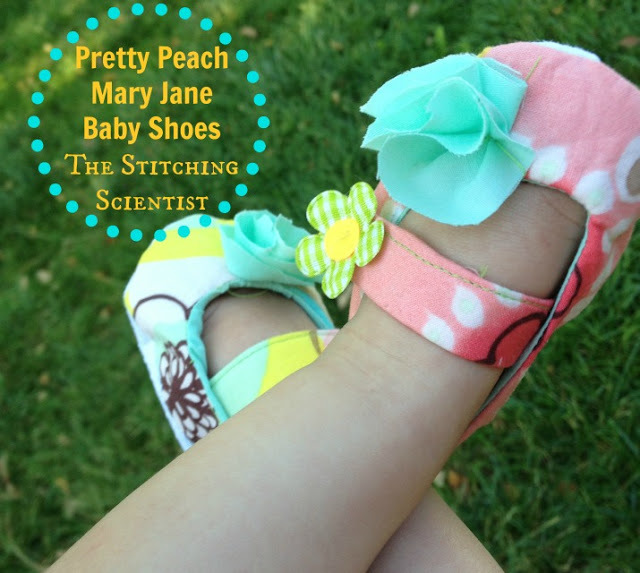 You can also make your own pattern for baby shoes. Here is the tutorial on how to create your own.Using the pattern you downloaded or created yourself, cut out cut out right and left side pieces for the following: soles using the skin-free fabric, soles using main fabric, tops using main fabric, interfacing and lining, straps using main fabric and interfacing. Make sure during cutting, you turn the pattern the opposite direction for one of them so that you don’t have two right or left sides. This picture does not show the pieces for the interfacing. Lets make the straps first. Iron on interfacing to the wrong side. Then, with right sides together fold and sew. Turn it inside out and iron. I have a hard time turning these tiny straps inside out so instead of folding I sometimes fold the edges in and then top stitch. After you have your straps, attach a small piece of Velcro on one end. You can also wait after you sew on the straps to put on the Velcro. Now for the top. Iron on the interfacing to the wrong side of the main fabric. Take your strap with Velcro facing up (if you already attach the velcro on) and place it about 3″ from the bottom of the main fabric on the right side. Take your lining and place it on top of the strap and main fabric. Sew inside the inner part of the U. Once you have your inner U sewn, fold over the lining and iron down the seam. Now onto the sole. Take your main fabric and place it on you skid-free fabric with the right side of the main fabric facing the side of the skid-free fabric that has the bumps. Sew all around leaving about a 3″ opening so you can turn it inside out. Now you have all you pieces! Take your top with lining facing out and pin it all the way around the sole of the SKID-FREE fabric NOT the main fabric. I made a mistake in the picture below and pinned mine on the main fabric side and did not take a picture when I realized I did it wrong. Turn in inside out and place your velcro on the side of the shoe. You can then embellish with a flower on the top. I also did a small flower on the straps for some added cuteness.